"Stop working soooo hard on being politically correct, which will only bring you down, and continue to fight for our Country," he said. "The losers all want what you have, don't give it to them. Be strong & prosper, be weak & die!" "Keep fighting for Tucker, and fight hard for @JudgeJeanine," he said. "Your competitors are jealous - they all want what you've got - NUMBER ONE. Don't hand it to them on a silver platter. They can't beat you, you can only beat yourselves!" 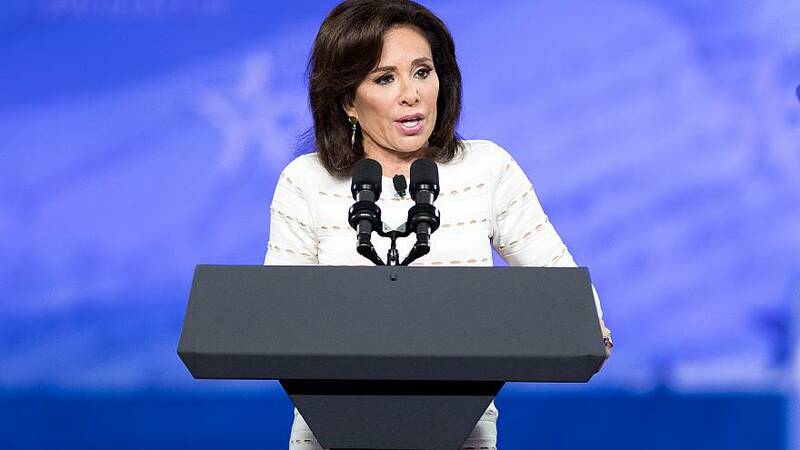 A Fox News spokesperson declined to comment to NBC News about why Pirro's show did not air, saying "We're not commenting on internal scheduling matters." The spokesperson also did not comment on Trump's tweets. Pirro is one of Trump's staunchest cable news defenders. The president's tweets come just days after an avowed neo-Nazi allegedly killed 50 at two New Zealand mosques, which the president condemned. Asked Friday if he felt there was a growing threat of white nationalismacross the globe, with this massacre following a white nationalist killing spree at a Pittsburgh synagogue late last year, Trump responded, "I don't really," adding, "I think it's a small group of people that have very, very serious problems." "We cannot and will not allow voices like Tucker Carlson to be censored by agenda-driven intimidation efforts from the likes of Moveon.org, Media Matters and Sleeping Giants," the company said in an emailed statement.